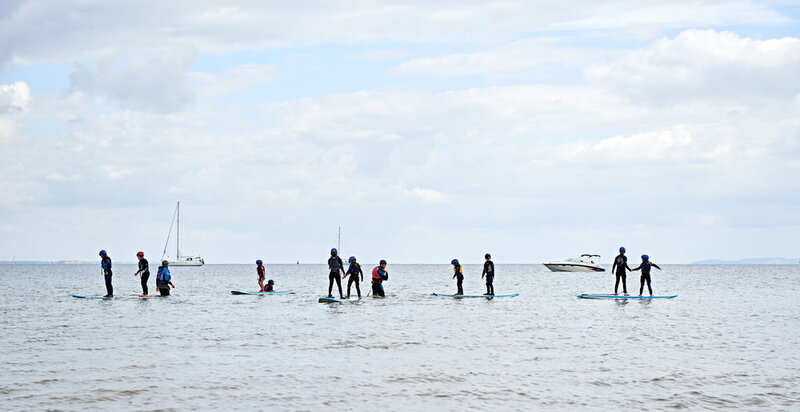 Join one of our family adventure days this summer, throughout the day there will be a variety of adventures and wild workshops running to give you a taster of lots of different activities, from short foraging walks, beach school taster sessions, and use of our paddleboards and kayaks on an unsupervised hire basis in the bay. Hop over to our family adventure page for more info. 1 x 1 stand up paddleboarding hire. under 16s £35pp adults £50pp. Book your spaces now for 2018 before they all go!